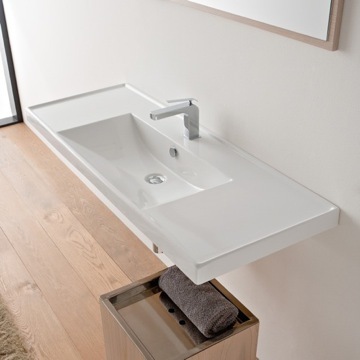 Innovative design by Tecla with their Mars collection. 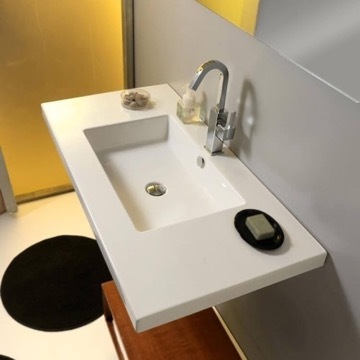 This rectangular sink requires no vanity or countertop to provide accommodations for a soap dispenser, dish, toothbrush holder, etc. 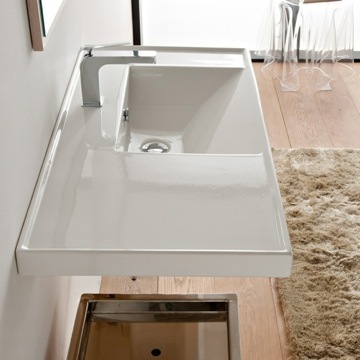 The large lip of the sink makes this an all encompassing sink and countertop. 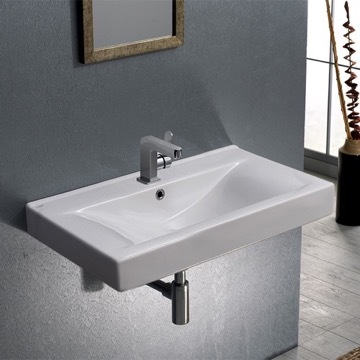 Made of elegant porcelain in Italy. 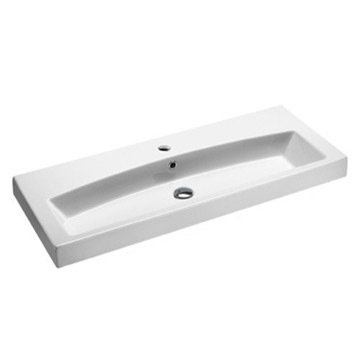 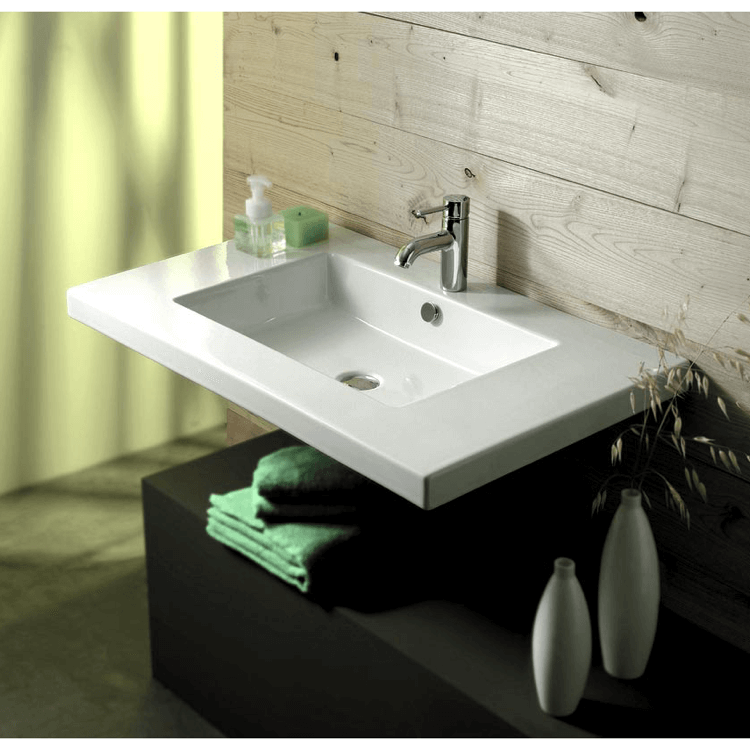 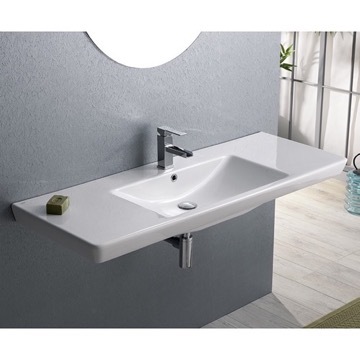 Contemporary design rectangular white ceramic sink with overflow. 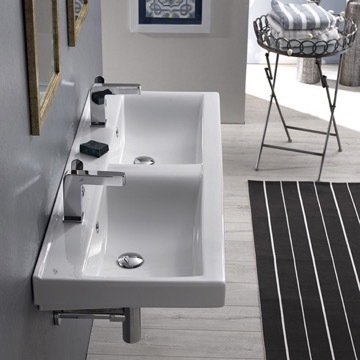 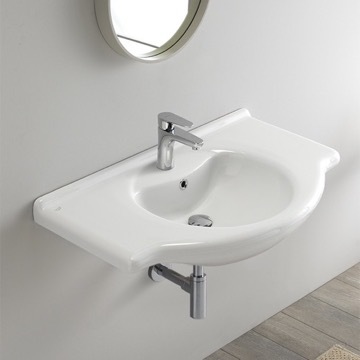 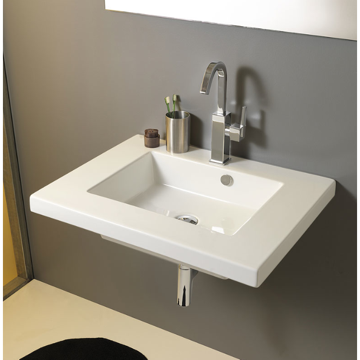 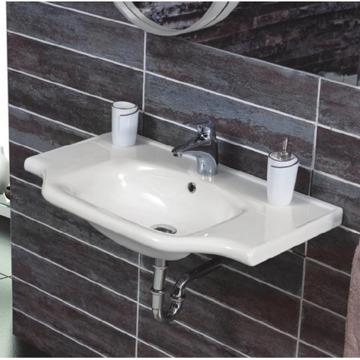 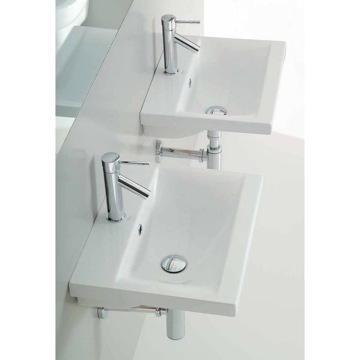 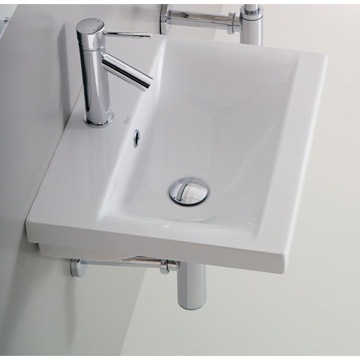 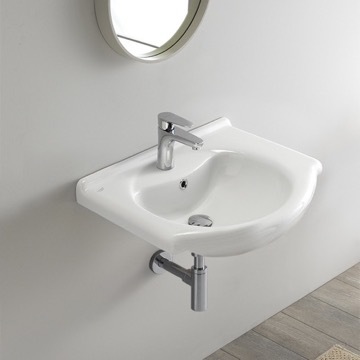 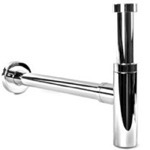 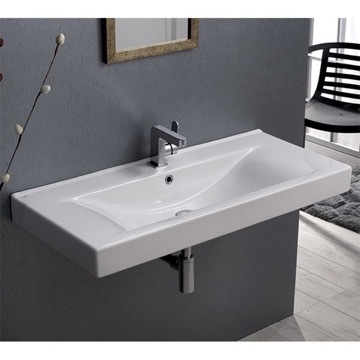 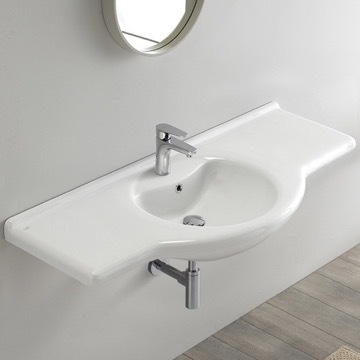 Stylish bathroom sink can be wall mounted or drop-in. 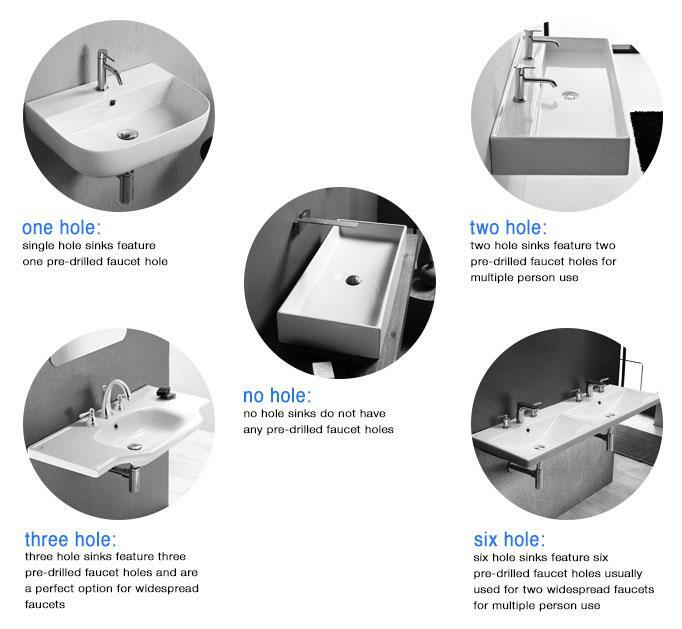 Available with no hole, one hole, or three holes. 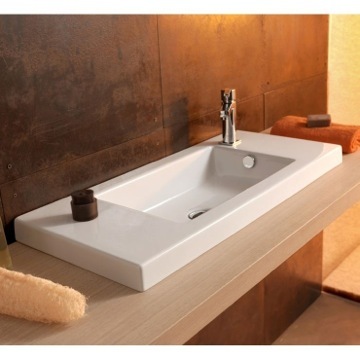 Made in Italy by Tecla. 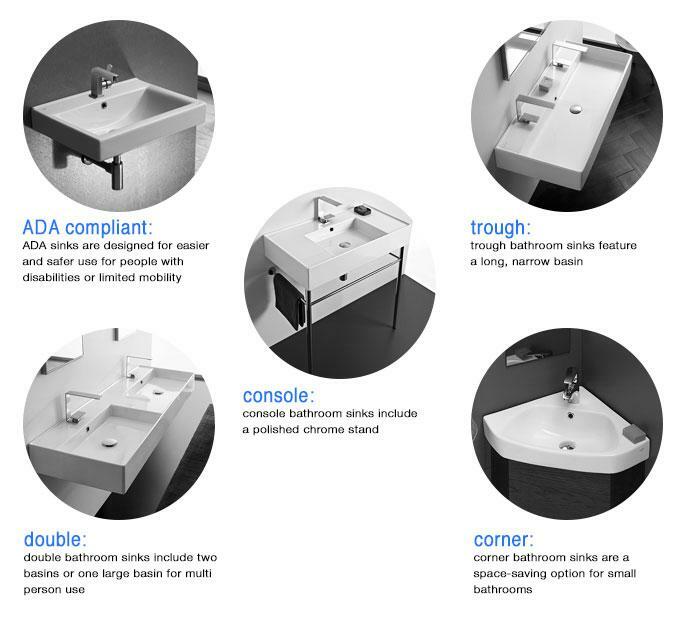 Tecla offers a 1 year limited warranty on all products. 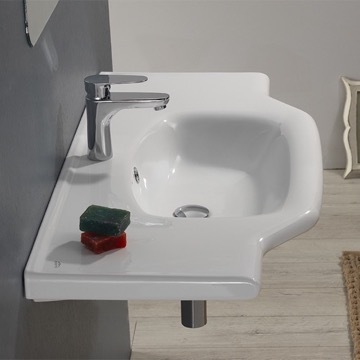 The staff is friendly and knowledgeable. 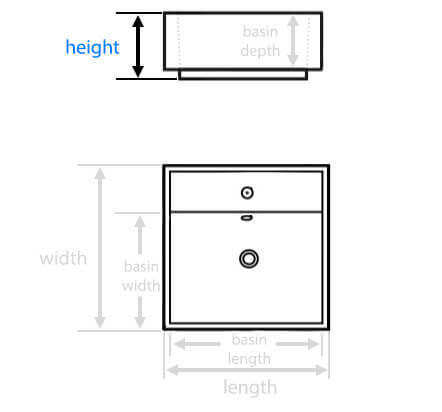 The customer service was professional and moved quickly to solve my problem. 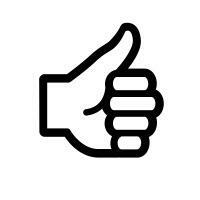 Thumbs up! 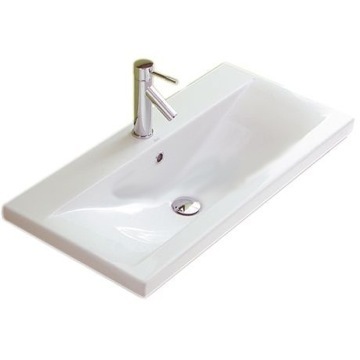 Can this sink be supported on the front with two front legs made out of wood? 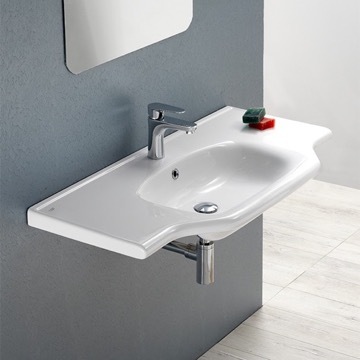 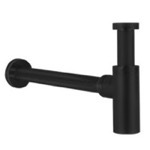 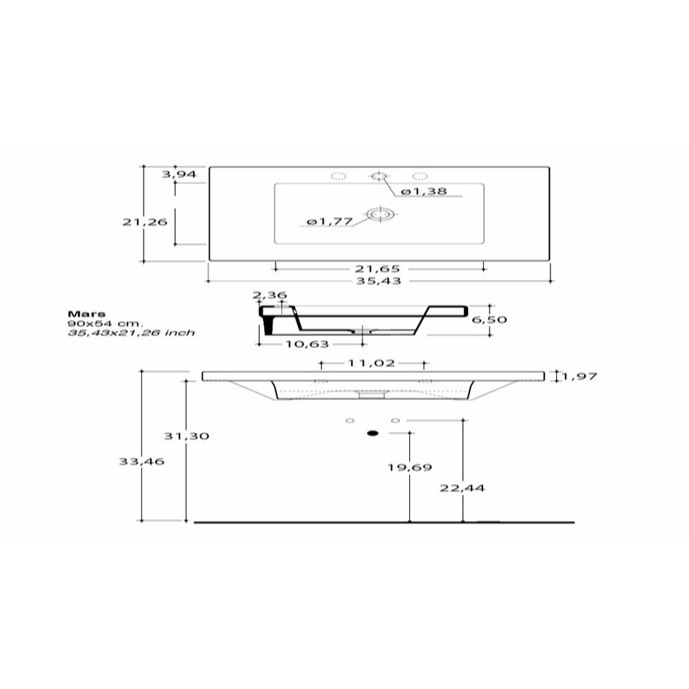 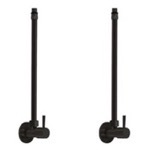 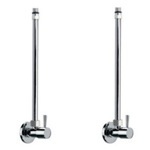 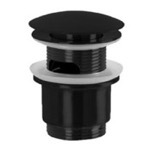 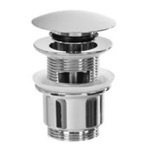 This sink is mainly supported from the back of the sink with the mounting items included. 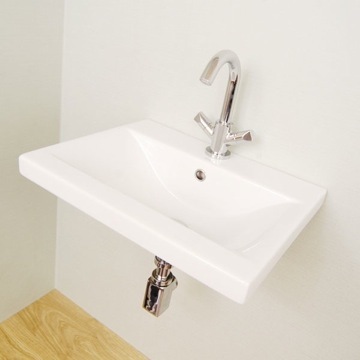 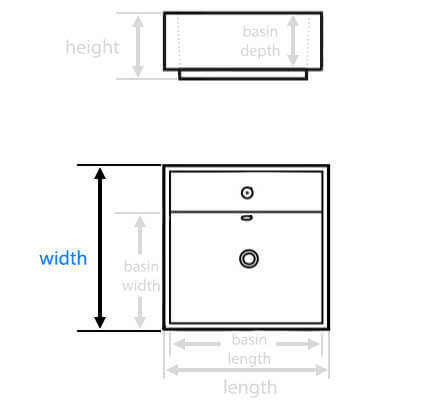 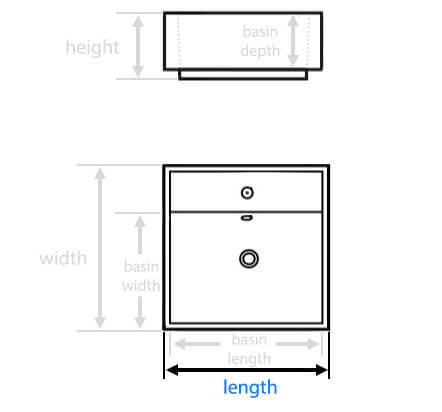 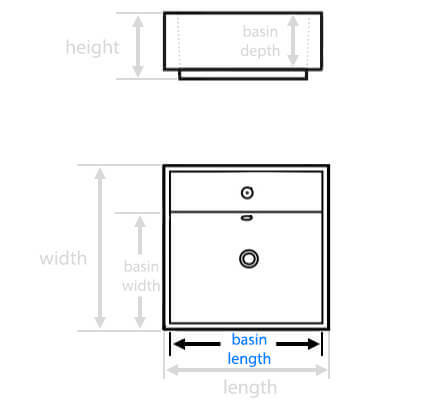 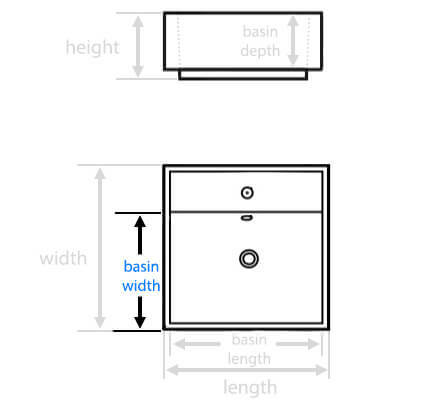 Having two front legs made out of wood will provide additional support, but the main source of install and support will come from the rear of the sink where the sink is mounted in the wall. 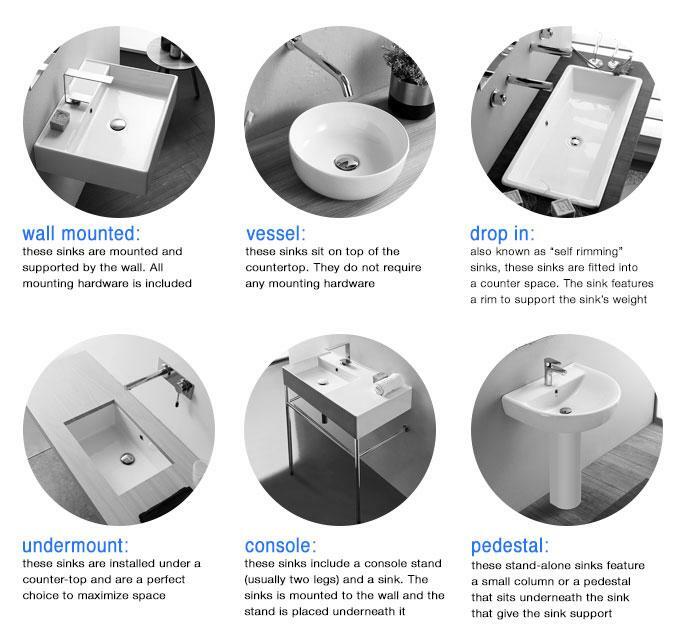 A new essential concept for your bathroom where beauty meets comfort. 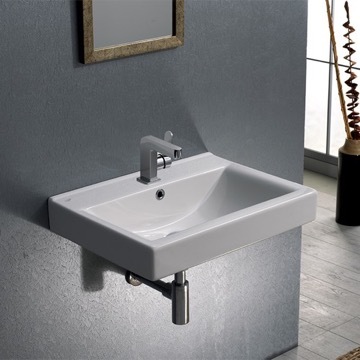 The style of these creations belongs to a company born in 1997 in the heart of italian ceramics production. 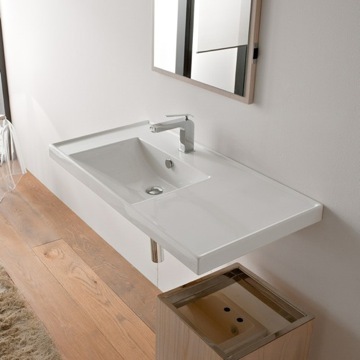 Minimal lines have the goal to maintain the ideal atmosphere. 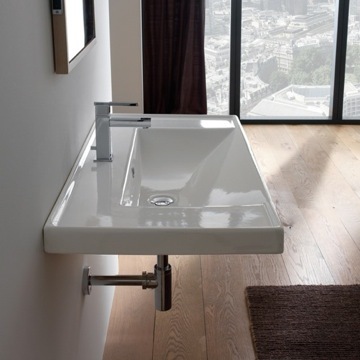 The elegance of the basin gives a great harmony to the shapes. 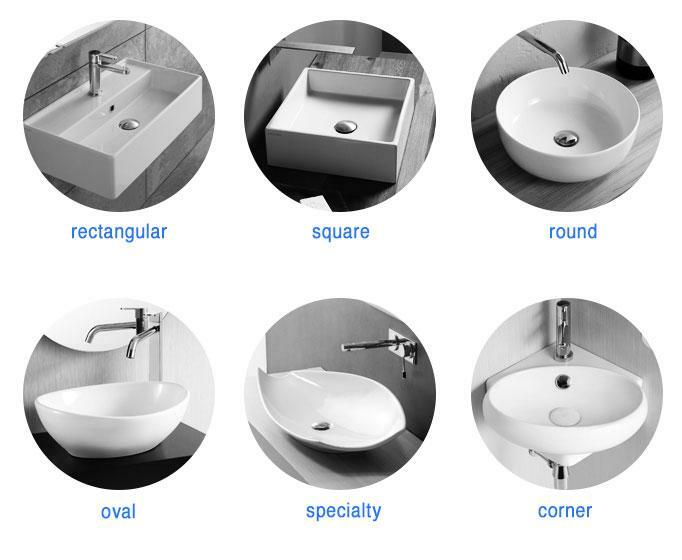 Square world and round one merge each other searching a design where the balance triumphs. 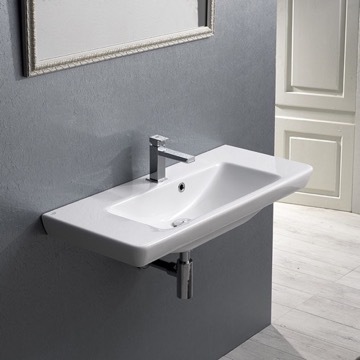 Not only trends come out but real values: Quality and Identity.